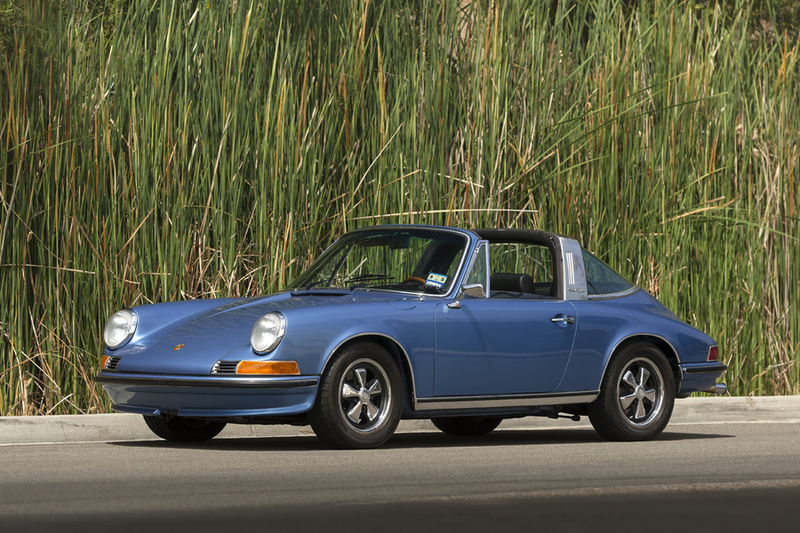 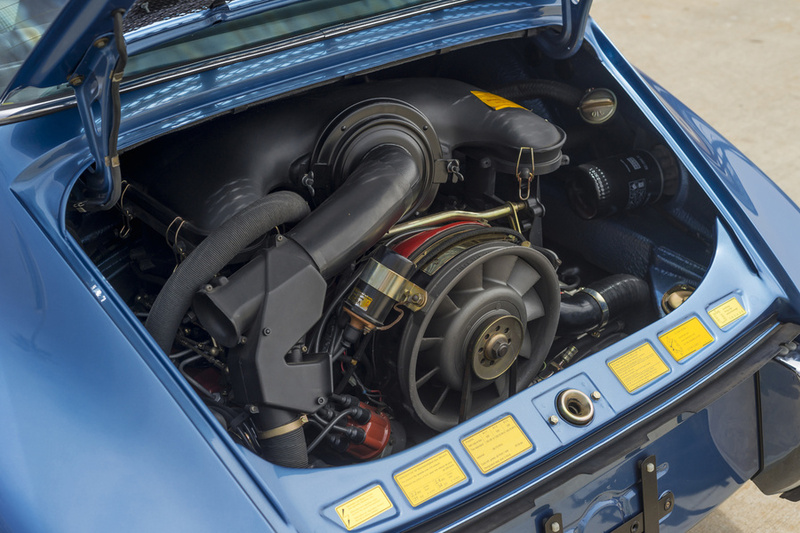 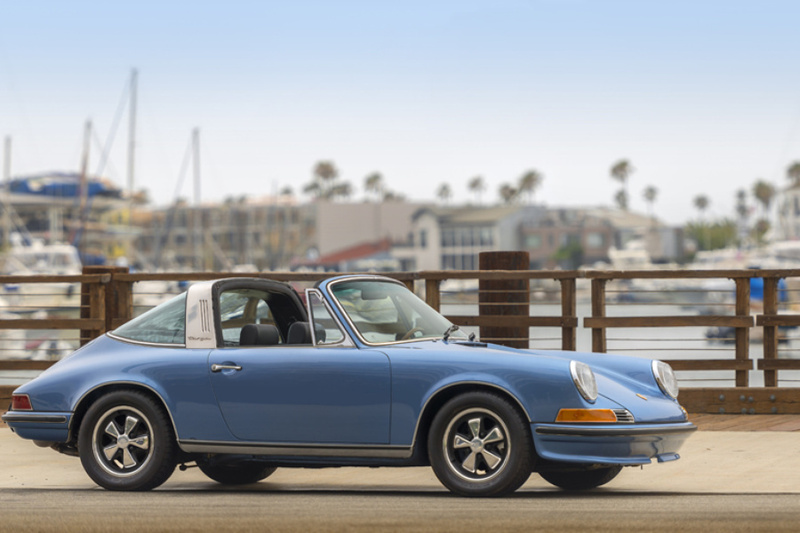 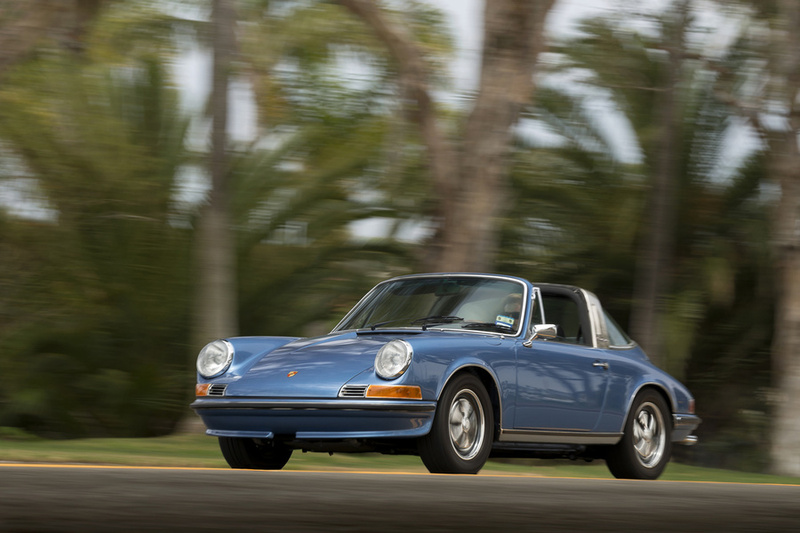 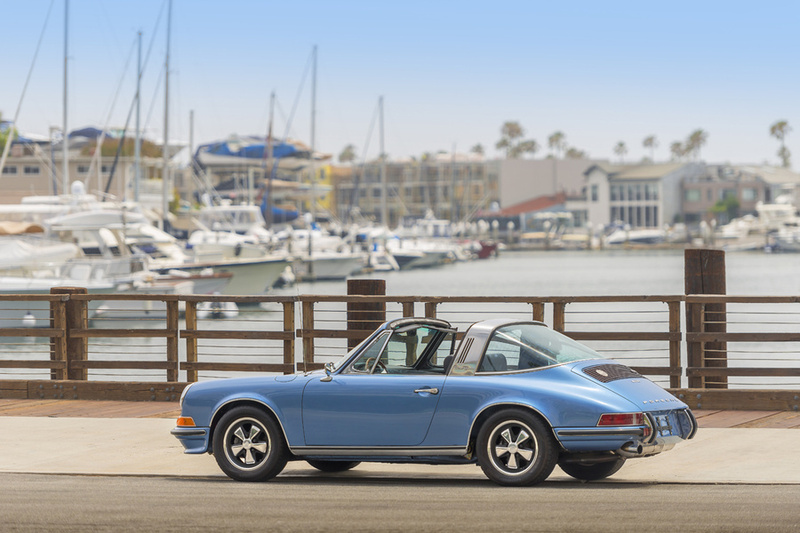 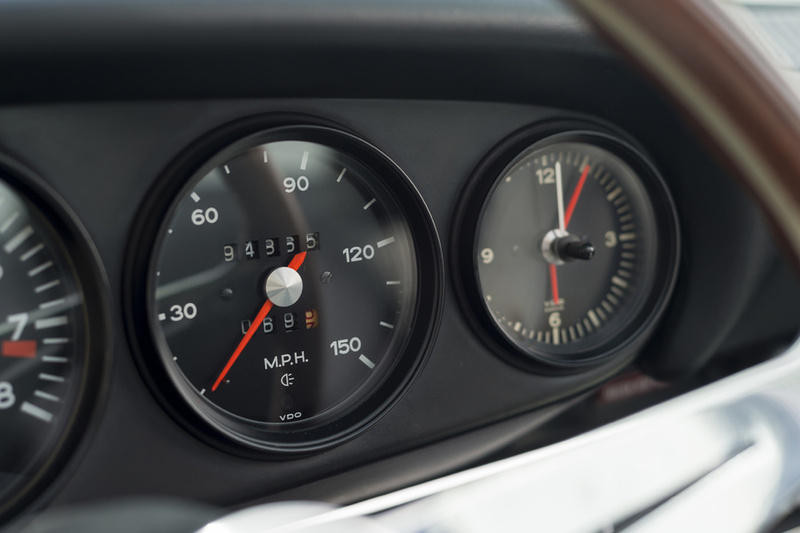 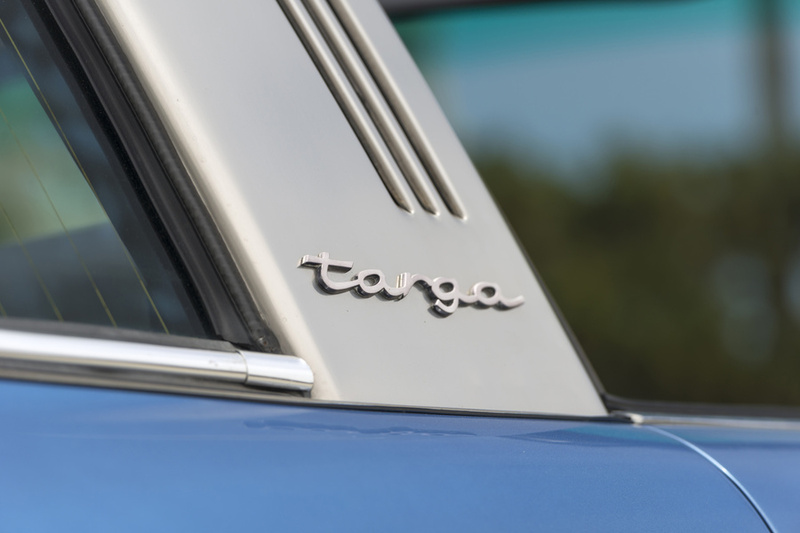 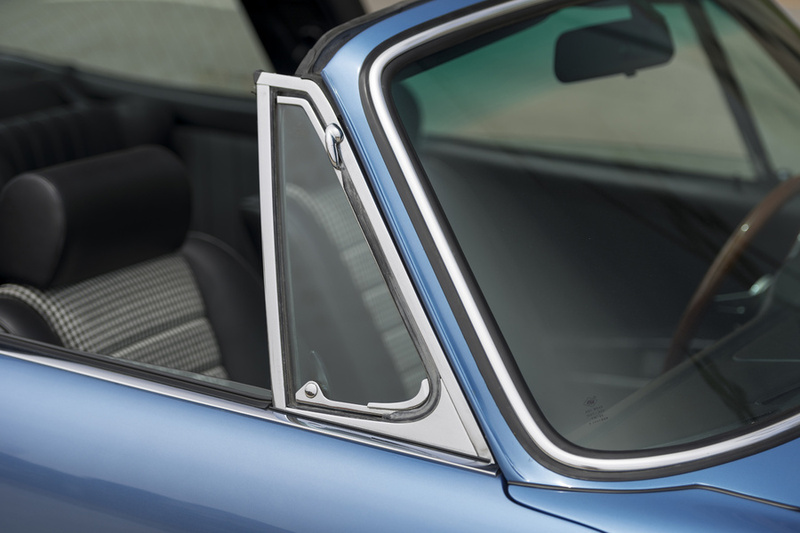 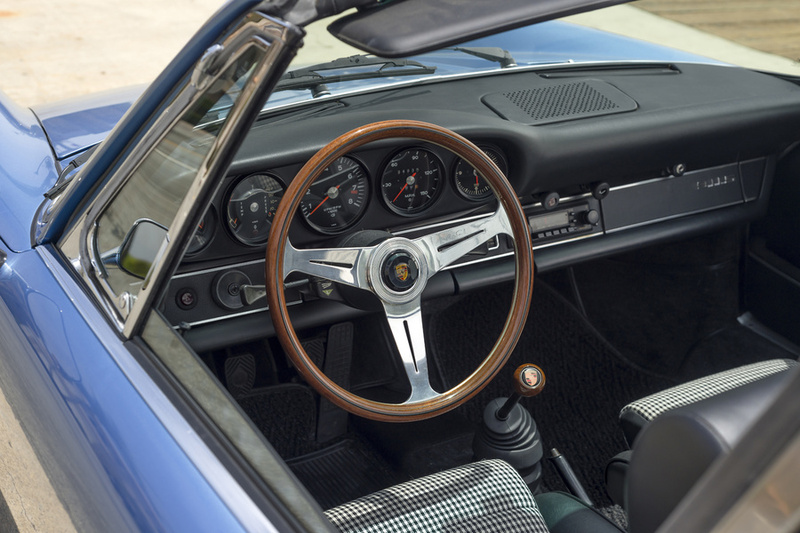 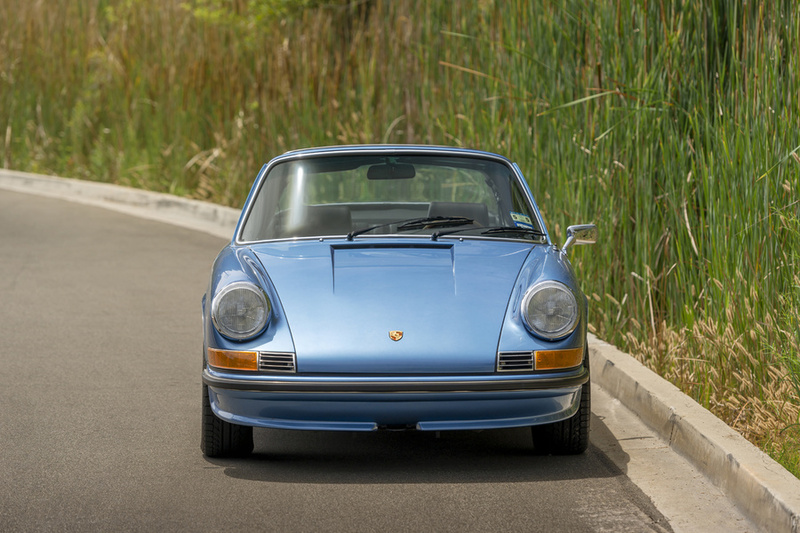 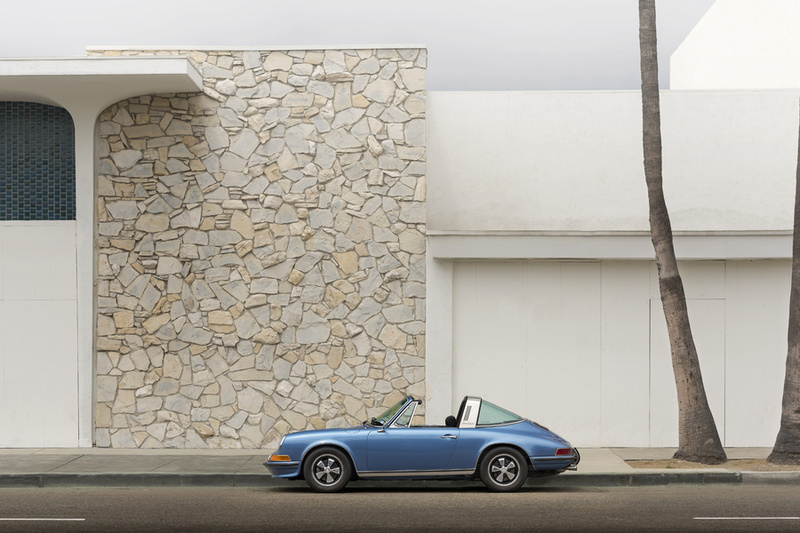 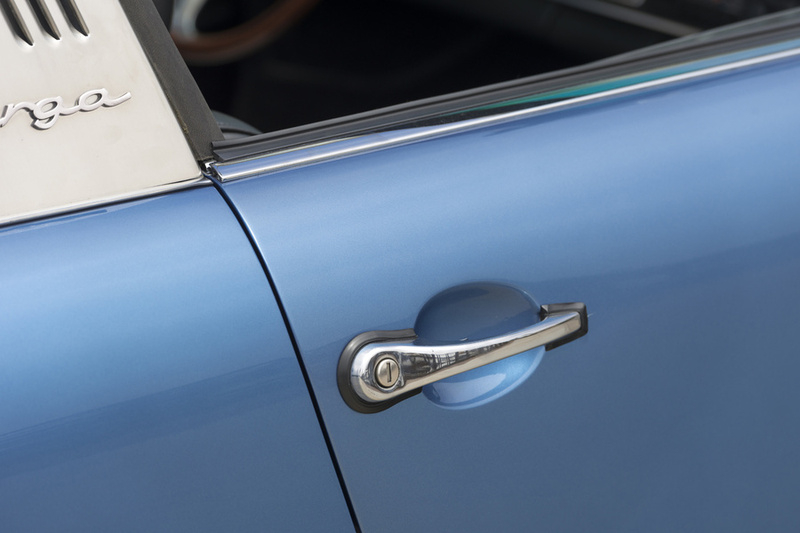 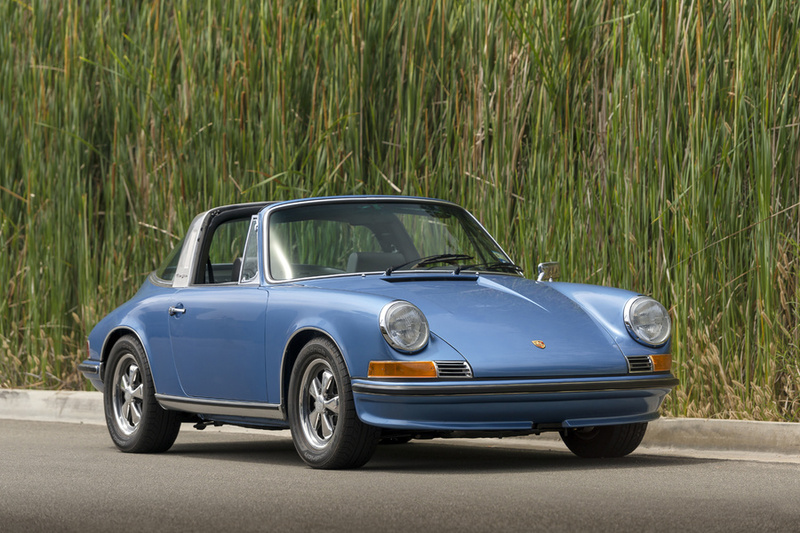 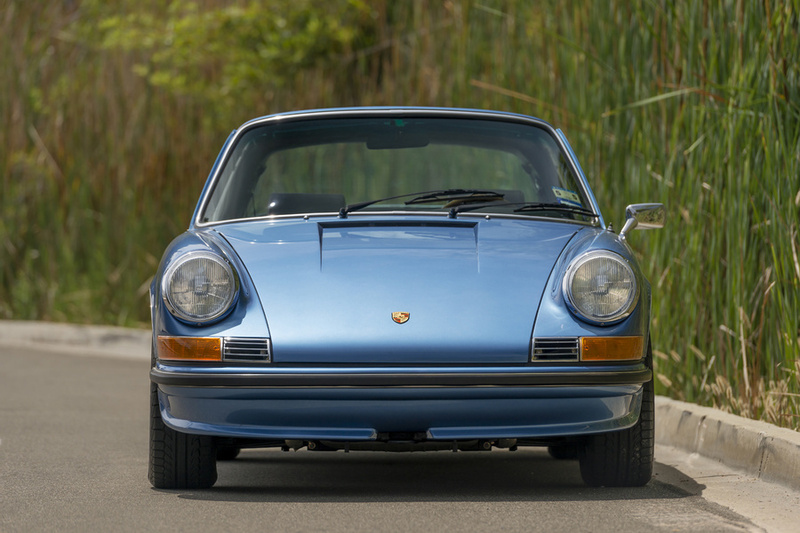 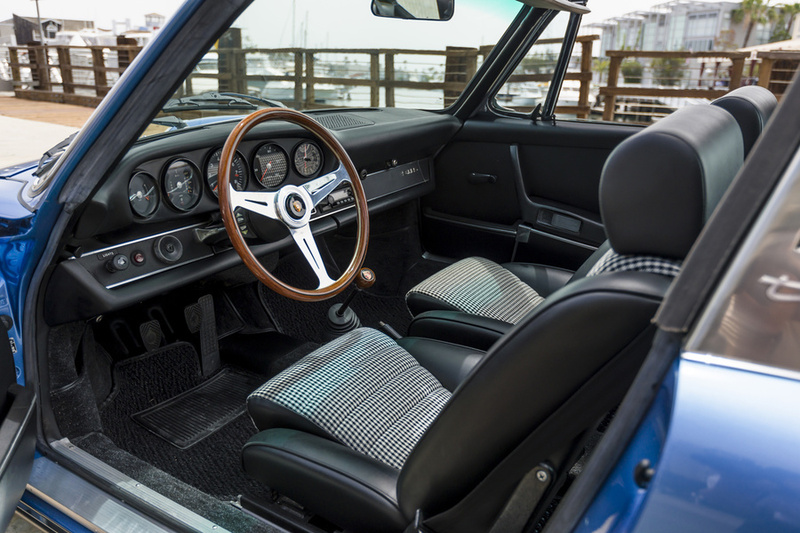 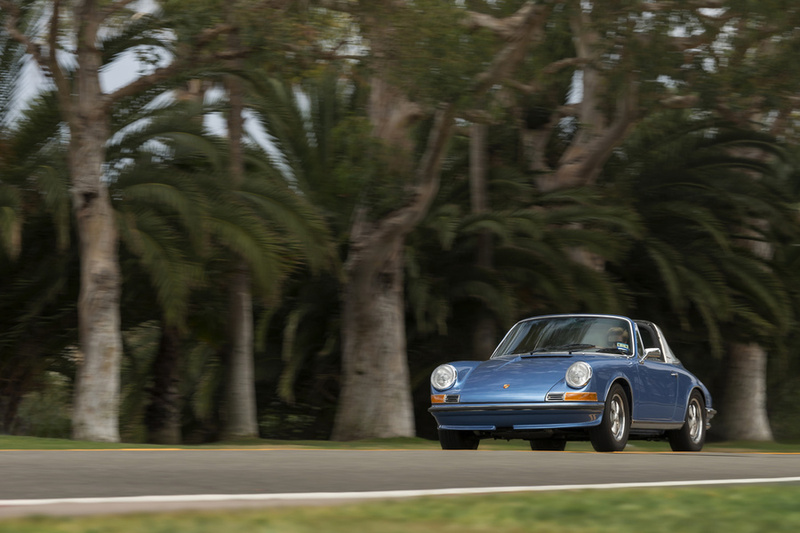 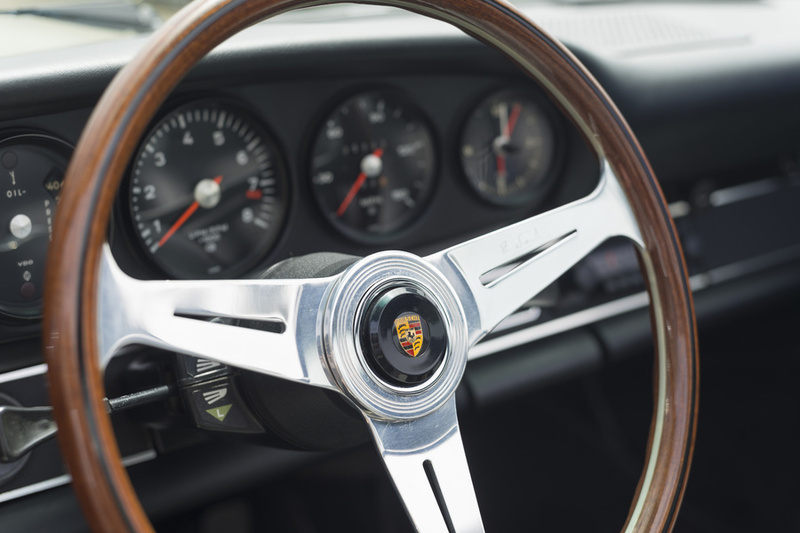 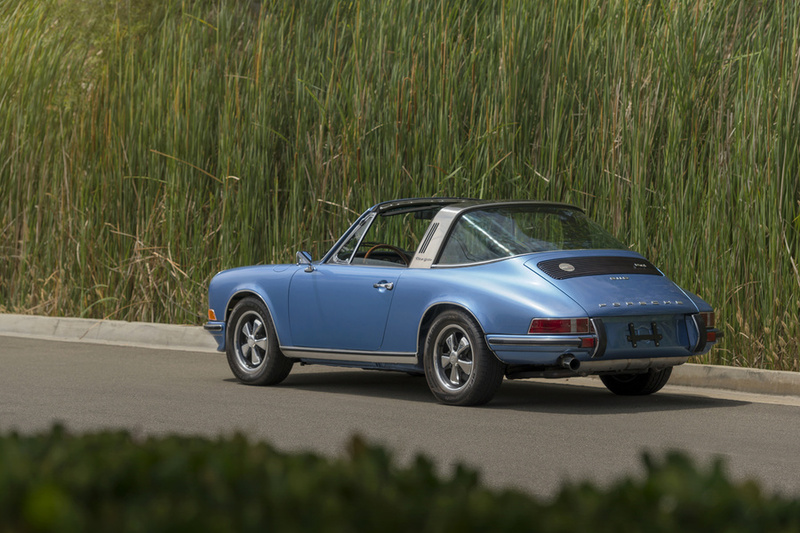 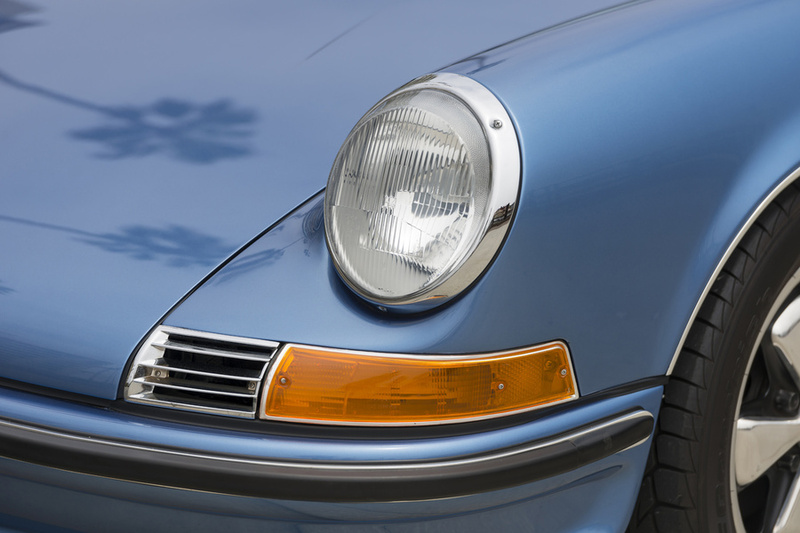 We restored this 73’ Porsche 911S in Gemini Blue back in 2011 and it is now for sale at our shop. 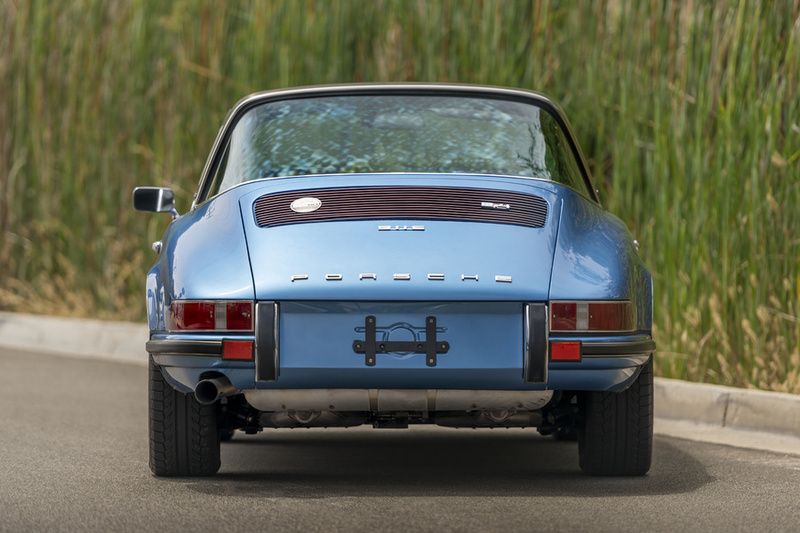 As with all our restorations, we restored this one to a Concourse level of quality and authenticity. 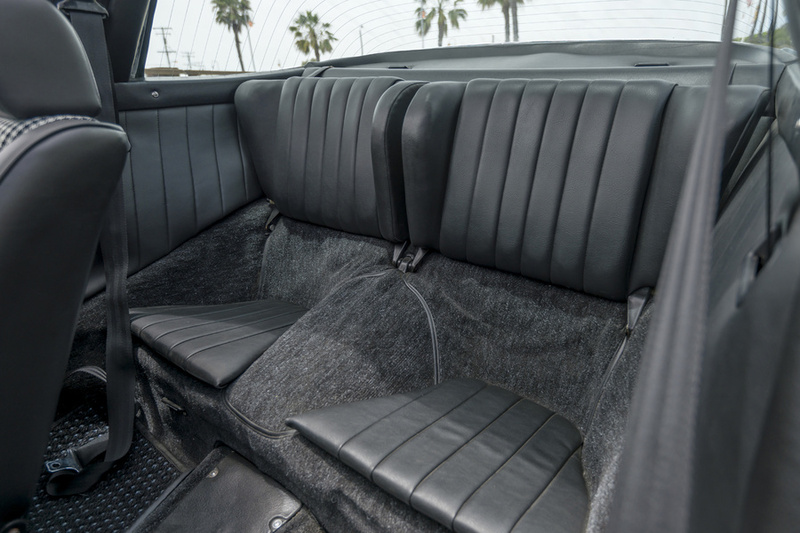 Some highlights for this vehicle include; extremely desirable black leatherette sports seats w/ headrests and Pepita inserts, Fuchs wheels professionally refurbished and a body colored steel front spoiler. 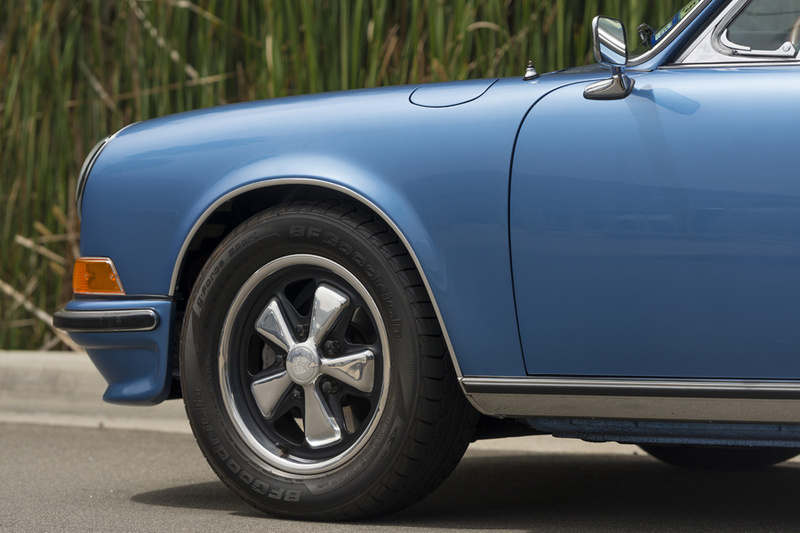 For the restoration, the car was professionally painted in our in-house painting facility with a bare metal, empty body repaint. 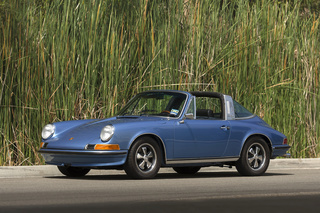 When seen in person, the Gemini blue is spectacular. 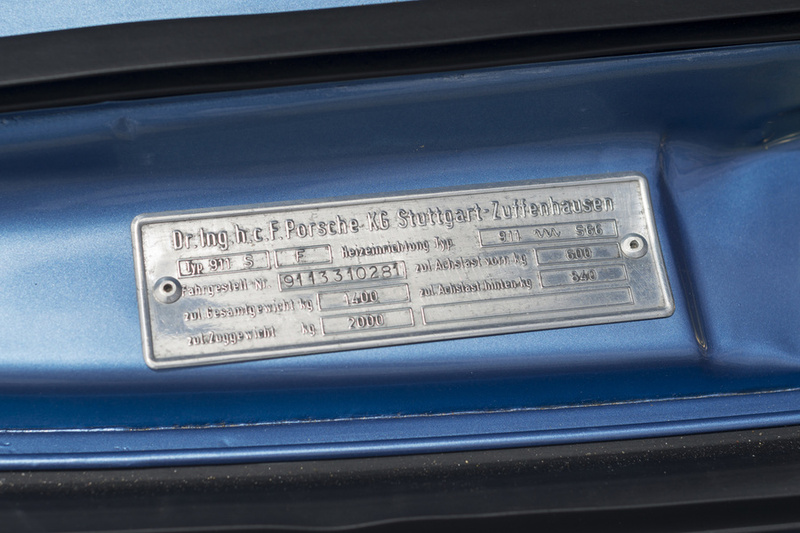 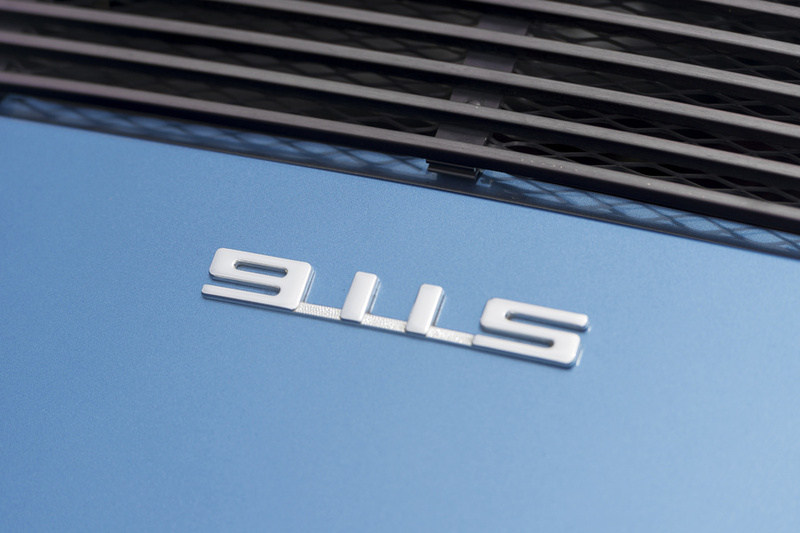 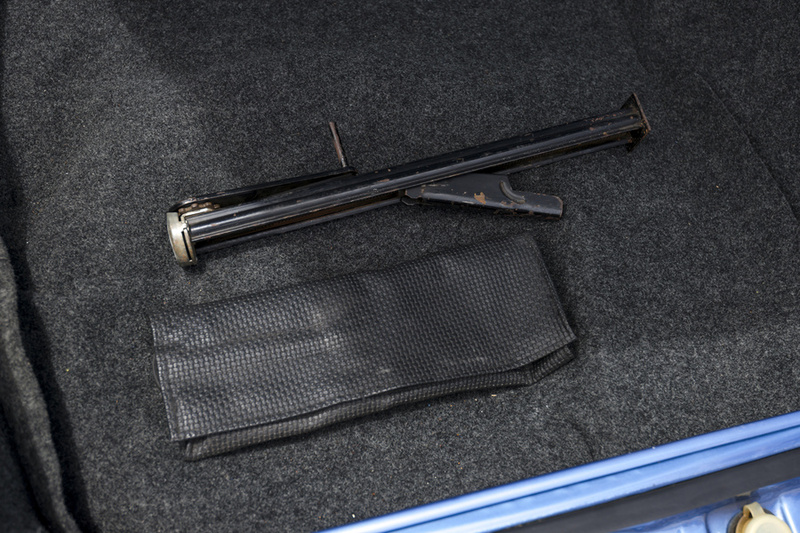 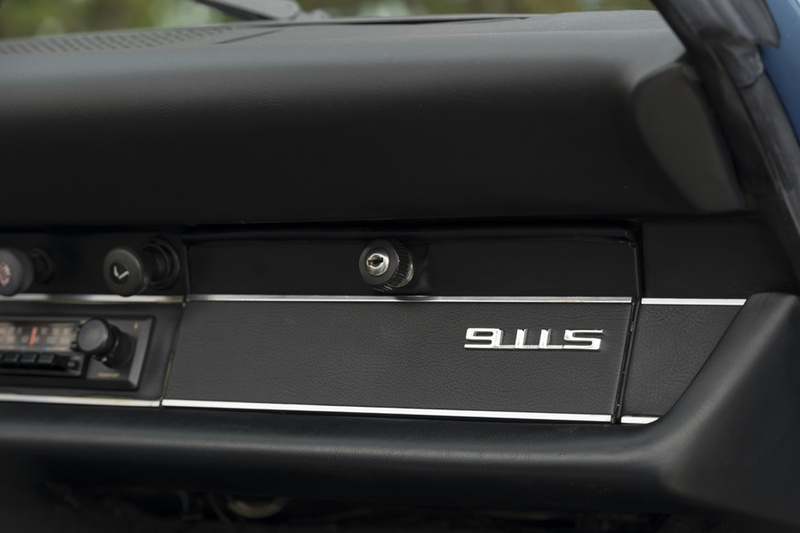 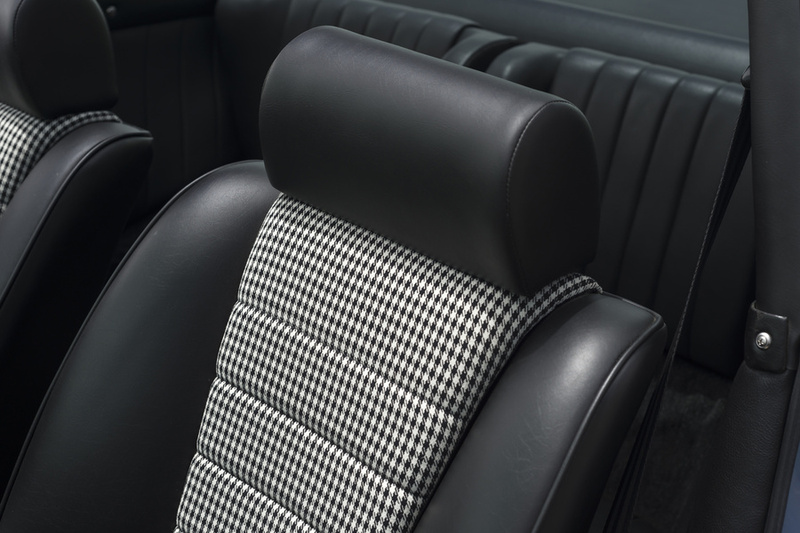 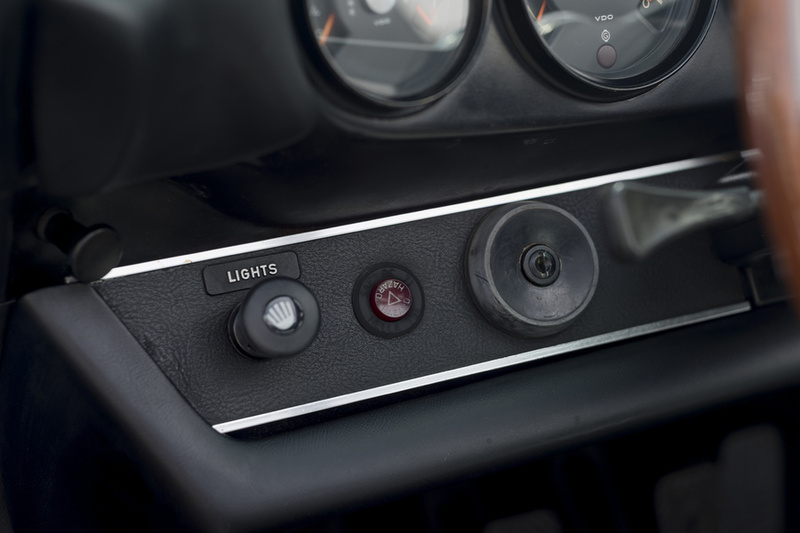 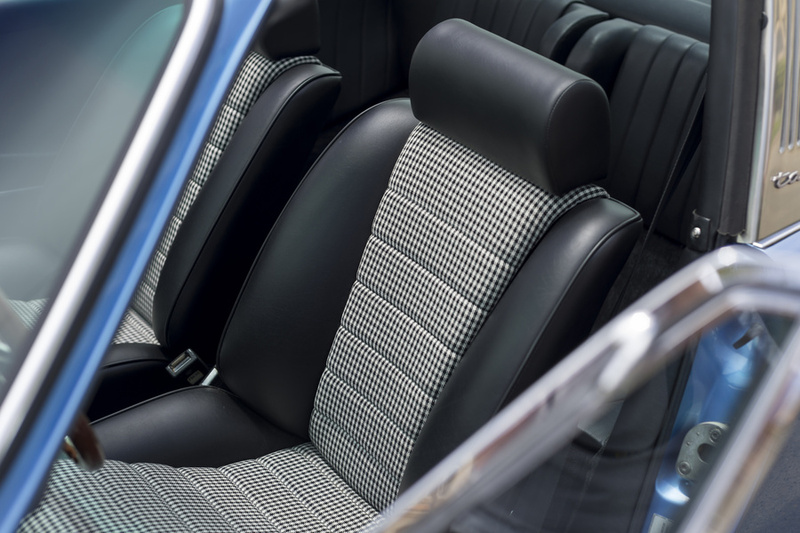 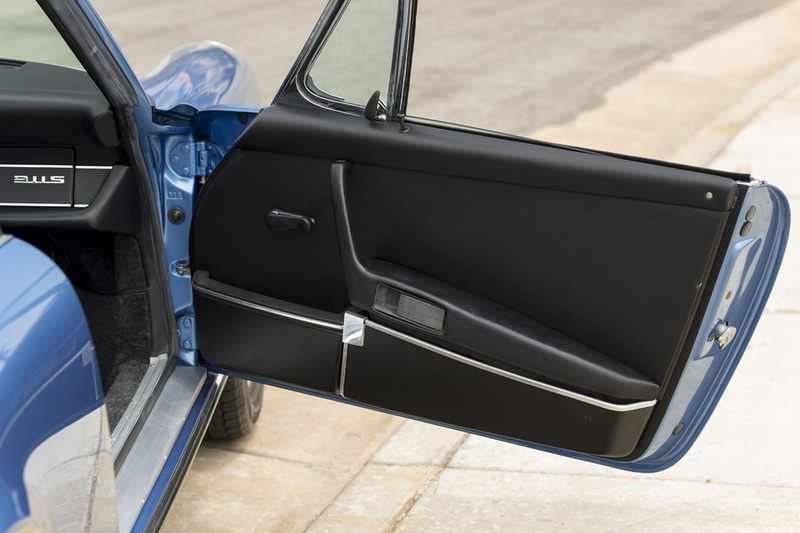 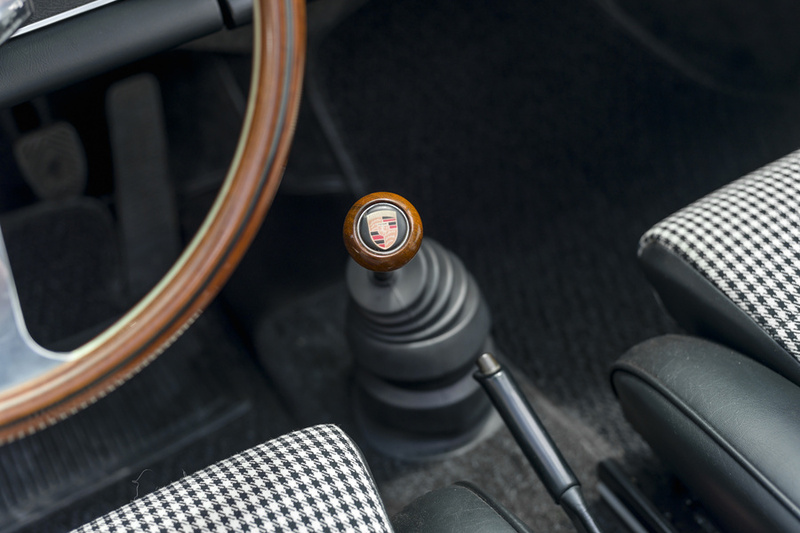 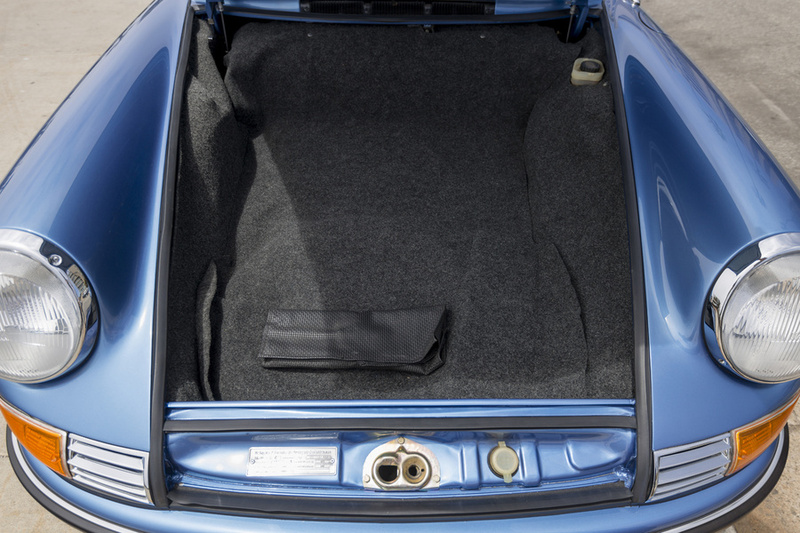 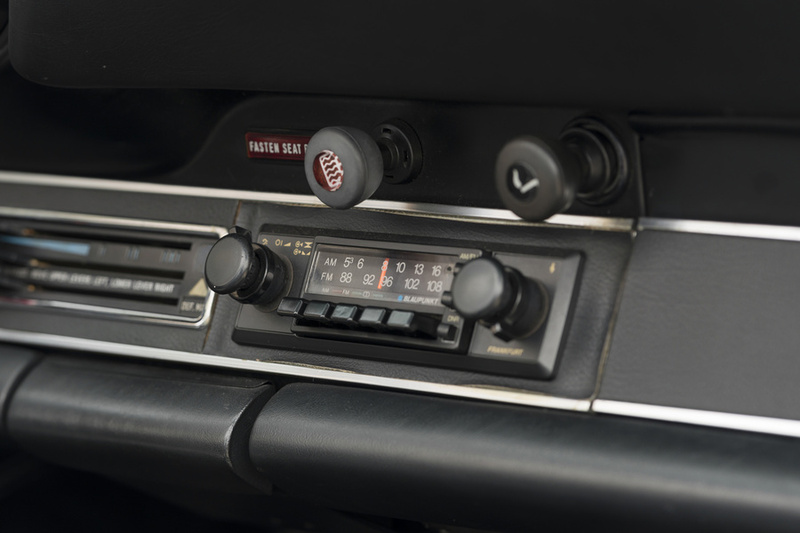 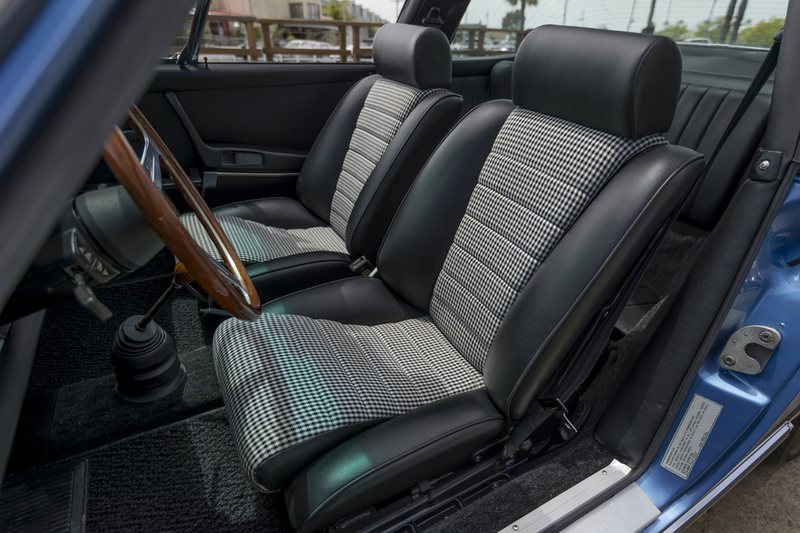 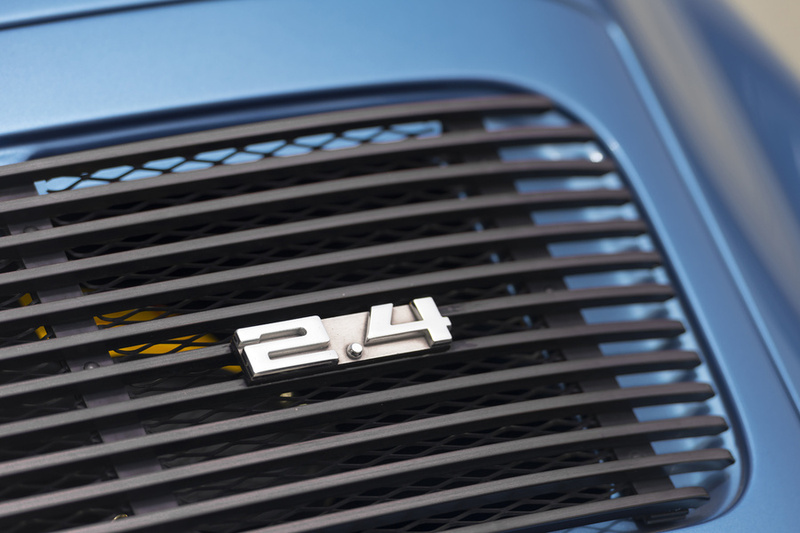 Besides the transmission, the car is completely matching numbers with engine and desirable sports seats. 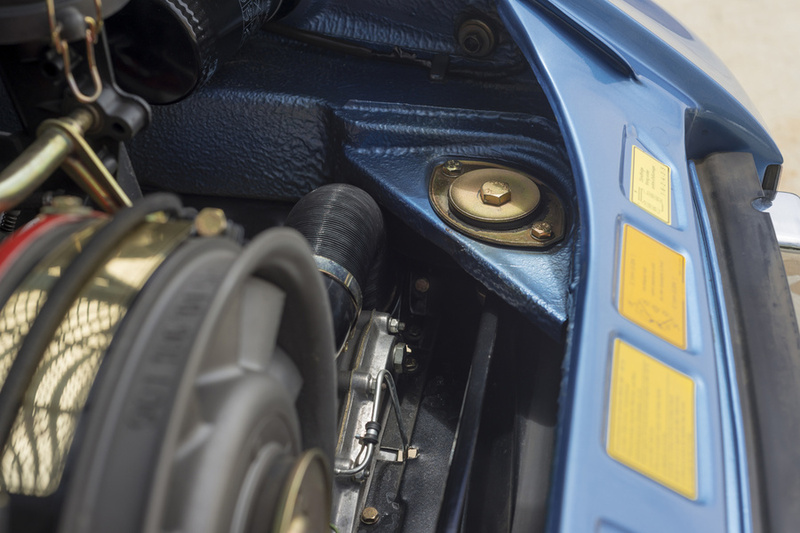 As for the rest of the car, the engine, suspension, transmission and all mechanicals etc. 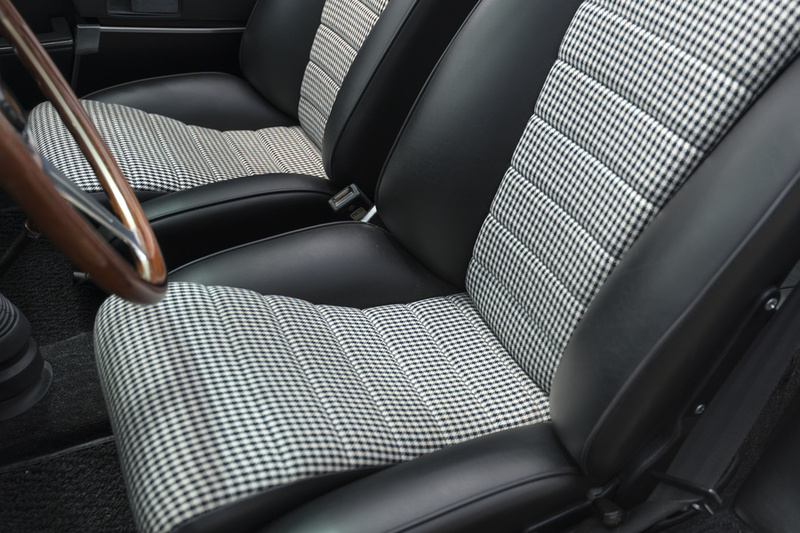 were completely restored using all period correct parts. 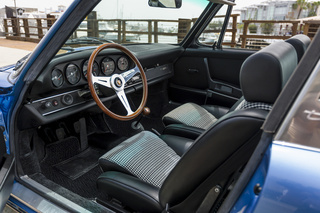 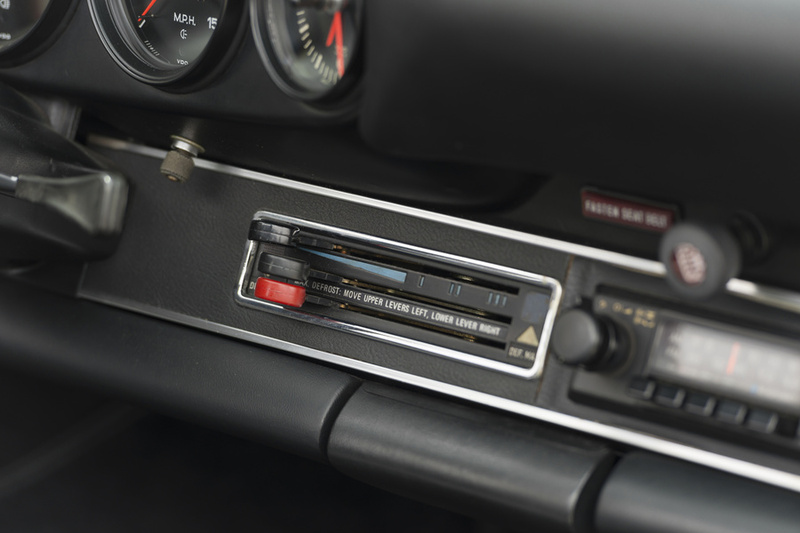 This is a unique opportunity to own a car we have already restored, giving us the ability to back up all work/documentation for the car. 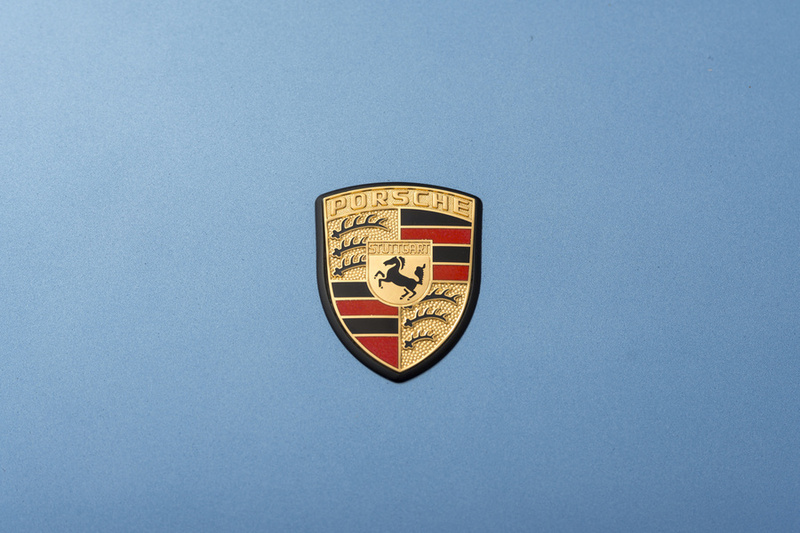 We speak English, German, Dutch and French. 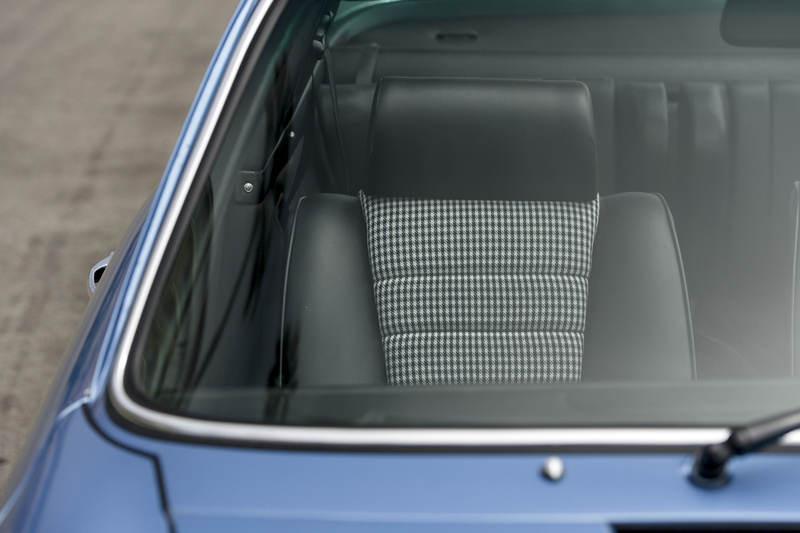 To further accommodate our international clients we can provide world wide shipping at owner’s expense.